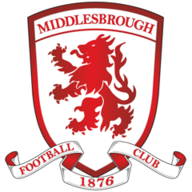 Middlesbrough eased to a 3-1 victory over Ipswich Town which moves them into second, whilst Roy Keane's men remain win-less. Jeremie Aliadiere came off the bench to help himself to a second-half brace, after Gary O'Neil had put Boro ahead. Jon Walters then grabbed the merest of consolations when he fired home a last-minute penalty for Town - who remain second from bottom. O'Neil replaced Mark Yeates in Boro's starting line-up, with Seb Hines replacing Jonathan Grounds in the only other change to the side that lost 2-1 at Bristol City before the international break. 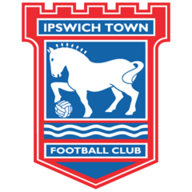 Keane made five changes to his Ipswich side and handed debuts to new signings Liam Rosenior, Carlos Edwards and Grant Leadbitter. It was Leadbitter who had the first goalbound effort of the game in the third minute, but his strike was well blocked by Rhys Williams. Williams then had a shot of his own blocked by Gareth McAuley before O'Neil put Boro in front in the 17th minute. The former England Under-21 midfielder initially went down in the area looking for a penalty, but picked himself up to flick home a header from Marvin Emnes' cross. Walters saw a header comfortably saved by Danny Coyne as Ipswich looked to respond. And shortly after the half hour the visitors threatened again as McAuley's goal-bound header was cleared away by Hines. Walters then nodded a Jaime Peters cross wide of Coyne's right hand post when he really should have tested the Middlesbrough goalkeeper. However, Boro almost extended their lead on the stroke of half-time as Adam Johnson's 20-yard shot was tipped around the post by Richard Wright. There was little in the way of goalmouth action at the start of the second period, although Alex Bruce and Walters both saw efforts blocked by Middlesbrough defenders. The hour mark saw a flurry of substitutions, with the home side introducing Aliadiere in place of Leroy Lita and Ipswich introducing Alan Quinn and Tamas Priskin, with Jack Colback and Pablo Counago making way. Lee Martin replaced Damien Delaney soon after as Keane's side went on the offensive in search of an equaliser. But the Tractor Boys were undone in the 66th minute as Johnson glided past his man before delivering a fine cross for Aliadiere, who coolly guided his header past Wright. O'Neil fired wide from 25 yards as the hosts pushed for a third, while McAuley tested Coyne at the other end with a header from Edwards' corner. Aliadiere then added a third for Boro late on with a fine turn and shot before Walters grabbed a consolation from the spot after he was fouled by Johnson.